Please be aware that this topic is not actively monitored by Athom; it is a topic maintained by the community to share knowledge within the community. In the app store a list of supported devices is shown with picture and description in the 'Supported devices' list. This list is generated by the actual content of the app. Most devices are implemented but new devices are being developed by Aeotec. If your device is not supported, check on this topic if there are already plans to add support. In addition create a GitHub issue (see link above) to request to add support for this device. The new app isn't supporting the widely spread/used and (in)famous DSB05 4:1 motion sensor and so I create a driver for it. The pull request is here and now its waiting on the merge and new app version. - Pull-request is accepted and merged. Can support for the recessed door sensor (non zwave+) be added as well ? If I have some time in the upcoming days, then I will give it a try. And perhaps with the manual see if the parameters are the same. Next to the nothingness the kefob now does it also gives an error on its capabillys when you click it. Any idea when the keyfob gets some flow capa's ? Seem to be correct. Model is the same, other info I can't say because I don't have any info about it. So I think we have to assume the command classes are the same until proved otherwise ? What does the error message say? Hard to read this way. And what Homey version are you on? The flow functionality has no eta as of yet. Tried it, but could make it work yet. device should be supported. Whats going wrong? Are you sure the devices are not still somehow hooked up to a different controller? Or previous Homey version? I'd try a full hard reset of the devices and then pair again. If that fails the devices might have different productId's. I did Hard Reset both sensors (press button for 20 secs) tried to add them again, same result. Powered off/on Homey, tried again., same result. Product Type ID 1 EU=0x00, US=0x01, AU=0x02. The productId matches. But this is not proof that your device has that same productId, only way to find that out is by running the app via command line with debug mode enabled. I can't find how to enable on debug mode.... i suppose in the athom cli? Navigate to the driver you want to debug. Make sure the line in the middle "debug: true," is there. If it says "debug: false," then change it to "debug: true,"
Then run the app with "athom project --run"
I'm not experienced in this. (i only really know REXX pgm language ). I did install the Aeotec app from the app-store, so i think i have to download the pgm-source somehow (github?) to be able to do some debugging? Do i have to uninstall the installed app first? 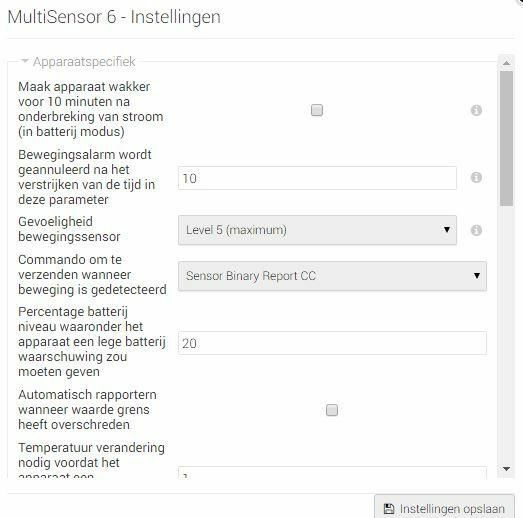 The fact your sensor can also not be added as a generic zwave device indicates to me it is not an app issue, but a lower level zwave issue. downloaded and extracted the zip file, Athom CLI i had rinsttaled already. Where to put some statements to do some debugging? Then just run the project? So a json file that has the onoff defined i guess. 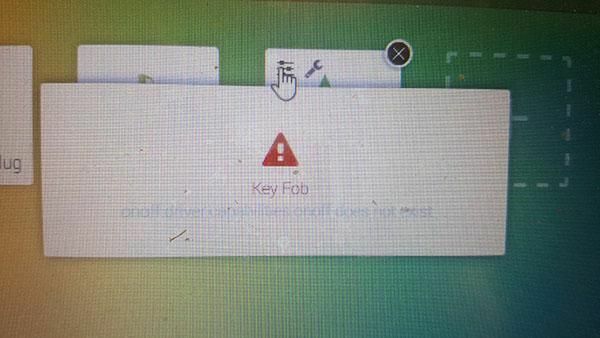 The keyfob being able to use in flows would be a great asset. My whole already ready alarm system on Homey is awaiting the support. Then i can start my tests if Homey is already a trustworthy replacement for my powermax. And yes.. My ISP connection and wifi are backed by UPS. \com.aeotec-master\com.aeotec-master\node_modules\homey-zwavedriver directory is empty, what is missing in the zip-file @RobinVanKekem ? com.aeotec running... -> opened console in browser --> add device -> pressed button -> timeout, no device added. no debug output in console or cli. should debug placed in some other place? I think I'll have to revert to my earlier reply, I think it's a lower level zwave issue. Not sure how to help you with that. Thanks for your help on this. Maybe Athom (@robin) has any idea on how to tackle this issue? Which device do you try to pair? Here's a zip with(!) Z-Wave driver and(!) all device drivers with debug enabled. Unzip the file, go to the unzip folder and run "athom project --run"
I have the minimote from Aeotec. Will this be supported in de future / is it on the roadmap? 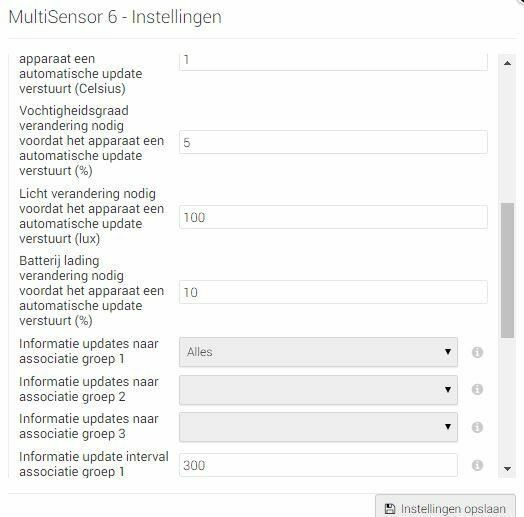 Hi, my multisensor 6 stays in alarm status movement. It seems to be connected ok, temp and lux are ok. Does someone know what is wrong? Is the sensor placed in a situation where there's constant movement? Also check all parameters with the manual to see if, for example, the "movement/tamper off" changes are send. I know, because of the philio development, not all sensor automatically send the off signal.